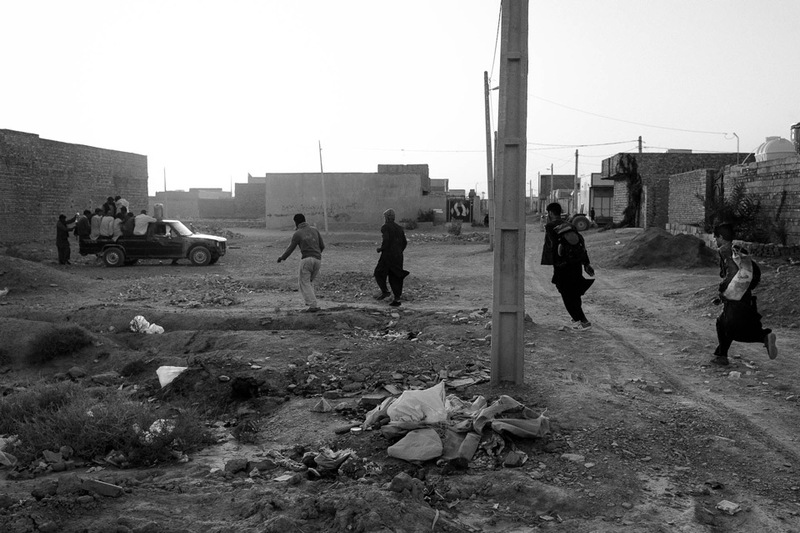 In Rising from the Ashes of War, Enayat Asadi photographs Afghani and Pakistani refugees along the eastern Iranian border. More than 5000 Afghan and Pakistani refugees try to pass through the eastern Iranian border. Some will stay in Iran, others will go to Turkey and Greece. 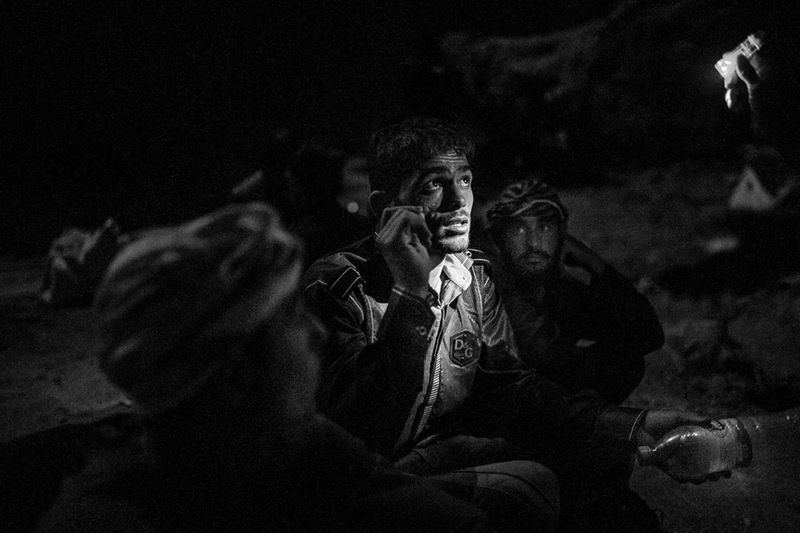 From left: Farugh, 22, Nikmuhammad, 21, and Mohammad, 25, wait for orders on their journey. Sistan and Baluchestan Province, Iran. Refugees rush to their car, which will transport 30 to 35 people. August 2017. Along the journey the refugees will pass many desert graves. July 2017. Mohammad Asef, 17, from Mazar Sharif, Afghanistan. Refugees detained by Iranian border police are held in a camp lacking proper hygiene. There is not enough food and clean water. Iranian police are fighting against human trafficking although there are accusations that they also assist smugglers. August 2017. Sistan and Baluchestan Province, Iran. More than 5000 Afghan and Pakistani refugees try to pass the eastern Iranian border. Some will stay in Iran, others will go to Turkey and Greece. September 2017. An Afghan refugee begs to not be arrested. Refugees have many problems entering Iran. Kidnapping and ransom is common. They are also used as workers. August 2017. Young refugees rest in a hidden place, an unknown hostel. There is not enough food and clean water for them. August 2017. One of the hundreds of desert routes for Afghan refugees. August 2017.